Premiering at MAKS 2017 is the Micron single-seat ultralight coaxial helicopter. Although the aircraft is still undergoing tests, several customers have already signed up. 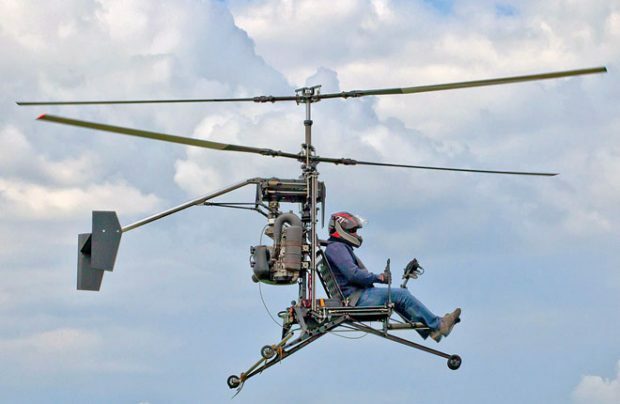 The developer, Moscow-based RD-Heli, told Russian Aviation Insider that the Micron’s empty weight stands at 115 kg, and that it maximum take-off weight amounts to 242 kg. The aircraft’s cruising speed is 88 km/h; its maximum airspeed is 112 km/h. It has a range of 88 km on a full 19-liter tank, and 240 km with a 52-liter tank installed. The Micron is equipped with a single 60-hp Rotax 503 engine, which runs on regular unleaded gasoline. It is possible that the helicopter will be fitted with a hybrid powerplant in the future. The Micron can be used as a personal transport, for freight transportation, for surveillance and fire patrol purposes. It could also find applications in agriculture. The baseline variant will be priced at 2.5 million rubles ($41,400). The company is working to develop a twin-seat modification and an amphibious version; both are expected to be ready by the end of 2018.